I love the architecture of Barcelona, Spain. Everywhere you turn you seen another unusual sight. The colour and movement of the city are endlessly inspiring. Then there is the food… well I won’t get into that today but let’s say you won’t go hungry. The following is a video of some of the highlights of my trip to Barcelona last October. I hope you enjoy it! This entry was posted on Saturday, August 8th, 2009 at 02:37 and is filed under Spain, Travel and tagged with architecture, barcelona, photo, photography, spain, Travel, video. You can follow any responses to this entry through the RSS 2.0 feed. In my eyes, the most beautiful destination for travel is Spain. I like Madrid, Barcelona and all other cities. Very beautiful country. 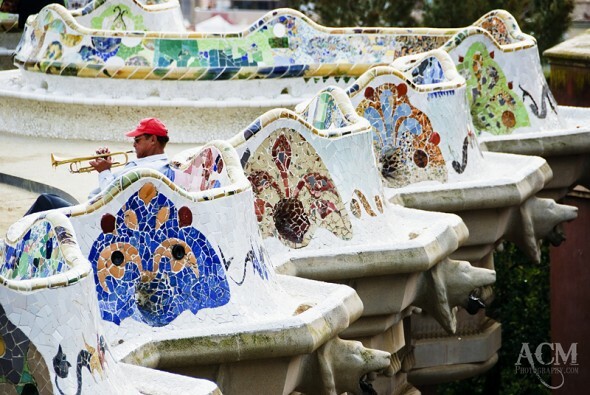 Barcelona is one of the most famous and popular cities in Spain. This is a bohemian town on the west coast of the Mediterranean Sea. Perhaps best known for his eccentric modernist architecture, especially stand out buildings the architect of the famous Gaudi. This is beautiful city.